Well, they did it. Last weekend, two of my best friends in the world got married (hooray for Mr. and Mrs. Smooth! ), and then threw one hell of a party. It was a fancy affair; I made an appointment to get my hair did and everything. I got gussied up in a strapless black bridesmaid dress. I ate lobster tails and miniature grilled cheese sandwiches and did lots of Beyoncé dancing. Speeches were given, champagne was drunk, rugs were cut. It was an absolutely gorgeous evening, from the first notes of the ceremony to the last (boozy) drops of the reception. And getting to share it all with wonderful friends and family? Sigh. That’s the part that left me beaming on Sunday afternoon. Today is Wednesday — it’s been three days since the party ended, and I won’t lie, it’s been rough. I miss the party. I miss my pretty hair. I miss Beyoncé dancing, and I miss my friends. Find a job that allows you to bake pumpkin cookies with 3-year-olds all day. Go to Jen & Steve’s apartment, order deli sandwiches and debrief every detail of the weekend. Think about how fun it would be to take a trip to Hawaii. Sweat it out on the treadmill — you won’t want to, but it will make you feel better. Do it. Hop on a train to Philadelphia for Thanksgiving with your (read: my) family. That last one is the best I’ve got. Thank goodness for Thanksgiving. For family football games. For time together in the kitchen and at the table. For stuffing and roasted root vegetables, for sweet potato biscuits and Brussels sprouts and cranberry sauce and pie. 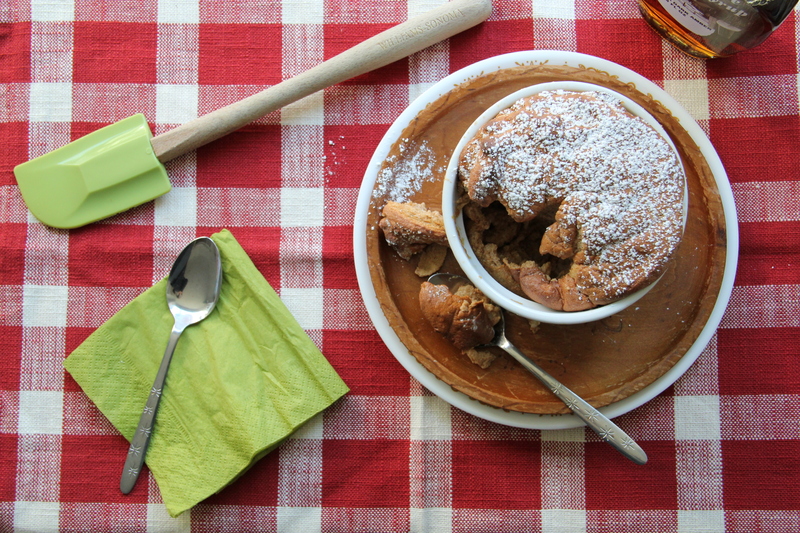 And for maple sweet potato soufflé. Thinking about mixing it up at this year’s Thanksgiving celebration? 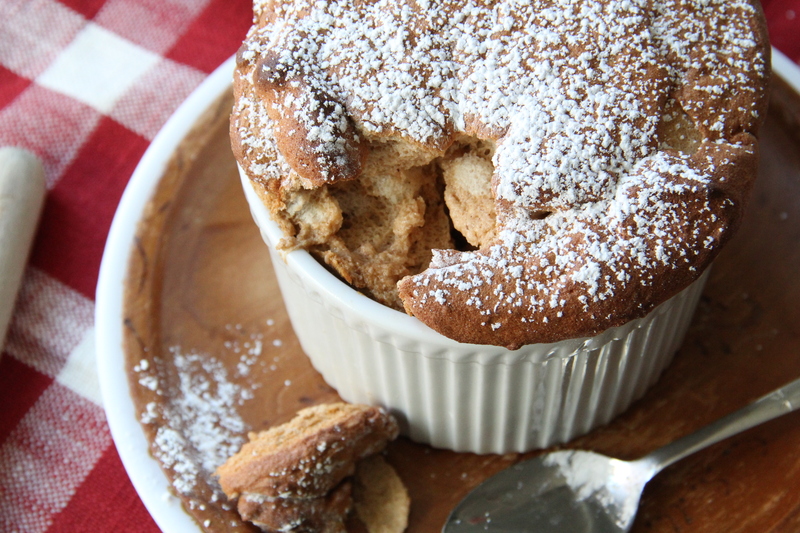 Try this sweet potato soufflé for dessert. It’s lighter than the usual pie but still gives you plenty of that spiced sweet potato flavor you crave on the dessert table this time of year. Note: this is difficult to make ahead and must be served immediately following baking, so is probably best for a small Thanksgiving crowd. If you’re feeding a throng of guests (more than six, I’d say), it’s probably wise to stick with pie (just keep this one in your back pocket for later). Move oven rack to the lower third of the oven, and preheat the oven to 400 degrees F. Butter six small or two large ramekins, and coat them each with maple sugar. In the bowl of a stand mixer fitted with the whisk attachment, whip the egg whites and salt until foamy and thick (soft peaks), then gradually add the 1/4 cup maple sugar, whisking until stiff peaks form. Fold one third of the whites into the sweet potato mixture to lighten, then fold in remaining whites gently, until thoroughly combined. Divide the mixture into the ramekins, mounding it well, and place the ramekins into a shallow baking dish. 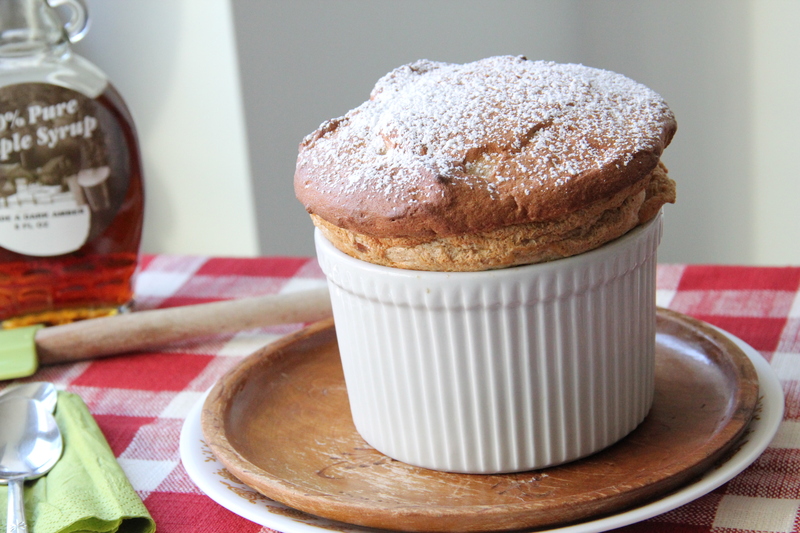 Place the baking dish in the oven and bake the soufflés for 18-20 minutes, until golden and puffed. Remove from oven carefully, sprinkle with powdered sugar, and serve immediately. Makes 6 small or 2 large soufflés.